Home > Premises & Location > Questionnaire: How Secure is Your Barber Shop? Crime can damage a business badly and all employers have a legal duty to provide a safe workplace. In the rare worst cases staff can be injured, but even less serious crimes can result in damage to the premises or the loss of equipment and cash. So it makes sense for a barber shop to take appropriate security measures and know how to react in an emergency. Take our questionnaire to gauge how well prepared you are to tackle crime. Question 1: Most barber shops deal mainly or exclusively in cash, so how many trips to the bank should the business make? Question 2: When is the best time to bank the cash? a) Last thing before closing. c) First thing in the morning having left cash on premises overnight. Question 3: A man wearing a balaclava and wielding a knife enters the barber shop and demands money from a member of staff. What should the member of staff do? a) Hand over the money and discretely follow the intruder when he leaves the shop. b) Attempt to make a citizen’s arrest. c) Give in to the intruder’s demands and phone the police at the earliest opportunity. d) Try to make a run for it. Question 4: The thief messes up the shop before leaving, but what should staff do as soon as the intruder leaves? a) Call the police and get customers a cup of tea to settle their nerves. b) Call the police and clean up the mess. c) Call the police and protect the scene for evidence. d) Call the police and close the shop for the rest of the day. Question 5: Which of the following are worthwhile crime prevention measures for a barber shop? a) Strengthening or replacing doors and windows. 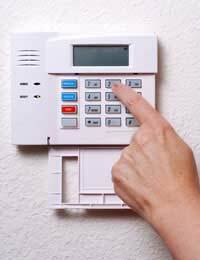 b) Installing an alarm system or CCTV. c) Fitting grilles and shutters. d) Using a safe for storing cash and valuables. Question 6: A man who has been a good customer in the past comes into the barber shop drunk one day and is being a nuisance. Do you? a) Refuse to cut his hair and evict him from the shop. b) Get him a coffee and try to sober him up. c) Cut his hair anyway, after all he is a good customer. d) Shave his head to teach him a lesson. 1 a) Cash is very attractive to thieves, so try to cut down the time cash remains on the premises by banking money frequently. 2 d) It’s best to vary the time and days when cash is carried to the bank and, if possible, vary the route taken too. 3 c) The safety of staff and customers is paramount, so a violent intruder should not be followed or confronted. 4 c) Also write down as much information as possible about the intruder as soon as it is safe to do so. 5 a) b) c) and d) It may also be worth installing a panic alarm that can summon police immediately. 6 a) A drunk customer will make staff and other customers uneasy. If a good customer, he will see the error of his ways and come back at a later date to apologise for his behaviour.